Comment: Exterior door to back deck has badly rotted frame on both sides at the bottom. Also want the wooden track removed for the sliding screen door, replace with a swinging screen door. Then sand the frame and paint the entire frame and new screen door. NEED ESTIMATES. Comment: The back patio door casing is rotted at the bottom and needs to be replaced. The outside casing definitely needs replacement; the indoor casing may also need replacement. In addition, the threshold to the outside door needs to be affixed and potentially replaced. Comment: Carpentry needed to repair framing from basement repairs, approximately 40 ft of wall, fame in sump pump, minor demo work needed. Comment: I have 19 cabinet doors (fairly simple, originally from Cabinets-to-Go). Want the center cut out of them (to be replaced with glass, by my glass specialist). The doors have a central panel, but, want to cut beyond this panel. An edge will need to be left in the wood for the glass to be seated in. Plan to bring the 19 doors to you, then pick them up later, however, you could bring your woodworking gear and work on the balcony if desired. Would like this done in the next week or so. Comment: Baseboard, door casing, window trim in finished basement. Replace baseboard in small bathroom. Falls Church Carpenters are rated 4.74 out of 5 based on 2,433 reviews of 41 pros. 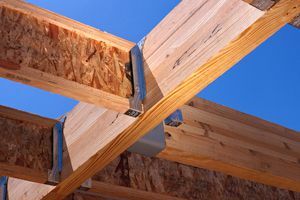 Not Looking for Carpenters Contractors in Falls Church, VA?